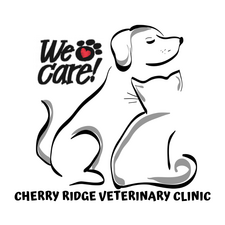 The Cherry Ridge Veterinary Clinic is proud to be one of the only veterinary clinics in the area to offer Cryosurgery for pets. Cryosurgery is a surgical technique which utilizes liquid nitrogen or nitrous oxide to freeze unwanted tissue and consequently destroy it. This is similar to the agent used at the human dermatology office, and has the advantage of not requiring any general anesthesia! Many pets that are not good candidates for traditional surgery do very well with cryosurgery. It is commonly used to treat a variety of benign skin growths measuring 1cm or less. Young pets with skin tags or cysts can also benefit from this procedure as it is less invasive and requires less recovery time than a traditional surgery. The growths are destroyed by the freezing action and due to the extreme cold temperature of the liquid nitrogen, your pet does not feel pain as the nerve endings are immediately frozen. Within a few hours to a few days after treatment the area may blister, turn black, or form a scab. Normal skin color and hair usually returns in time. However, a small number of pets may have permanent hair loss at the site, or a small black or white scar. The scab will fall off as the treated area heals. This is the desired result. Most patients experience little to no pain, but topical anesthesia is applied prior to the procedure to be sure. Cryosurgery for pets is a safe treatment alternative to traditional surgery and has proven to be very successful for a variety of conditions. Anytime a patient is reviewed for surgery, cryosurgery can be considered as an option as long as the tissue is on the outer layer of skin. This makes it a good option for small tumors, cysts, skin tags, and other skin disorders, including some forms of cancer. Since the procedure freezes the tissue their is little discomfort afterwards and usually no sutures needed. Less painful on the patient. Prevents major complications and is more affordable! Prices for cryosurgery are often less than a regular surgical procedure, making it a win-win for you and your beloved pet. 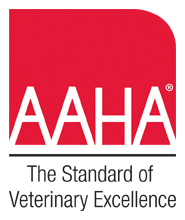 If you think your pet may benefit from this, give us a call to schedule a consultation with one of our doctors!